A good university education equips students with transferable skills that can be used in their future careers. Some aspects of these skills are quite similar, irrespective of which field of science the students have studied. This suggests that even if students are not trained in a particular field, they can still catch up and do the job when the opportunity arises. For this reason, Biomedical Science Professor Chow Sek Chuen encourages his students to think outside the box, and not limit themselves to just a career within the medical bioscience field. “Students can work in other areas of science if they want to. It is a matter of how they use the transferable skills taught, and how far they want to go,” said the Professor at the School of Science, Monash University Malaysia. Many assume medical bio-scientists only work in hospital laboratories, usually in the background providing a supporting role, helping medical doctors run test samples and diagnose diseases, or carrying out clinical trial studies for new drugs or treatments. However, this is only a small area in which they can build their career. Medical bio-scientists can also get involved in many other exciting areas. A popular one is toxicology. This is where scientists study and characterise the toxicity of drugs or poisons, and try to understand how it affects our physiology, health, and immune system. As for where they can find work, the possibilities are endless! Graduates can choose to work in a pharmaceutical company, where their main responsibilities may include the introduction and selling of new novel drugs, for better disease treatments to medical doctors; or they can also be trained as equipment/product specialists, selling and servicing specialised equipment for diagnostics or treatment, to clinics and hospitals. Career prospects can also be found in government regulatory bodies, to protect and promote public health and safety through the implementation of proper regulations. For those with a flair for language and are interested in writing, they can become a scientific writer/journalist for newspapers, scientific magazines and pharmaceutical companies. “Like any other degree today, the first degree is a stepping stone and the Bachelor of Medical Bioscience offers great opportunities,” Prof Chow said, adding that he has seen many of their students working in diverse careers. “With science, hands-on laboratory sessions are very important in the learning process. It provides students an opportunity to explore the practical implications of their disciplines. This in turn develops problem-solving and critical thinking skills. It also exposes students to equipment in the laboratory, preparing them for high-technology careers,” explained Professor Chow. In the Bachelor of Medical Bioscience program, students have to complete a compulsory internship program. Most internships are at hospitals and private pathology laboratories. Prof Chow shared that he is looking beyond the current options, to allow students to gain a more varied experience. “More than just hospitals and laboratories, we are working at securing internships in other employment settings as well as biotechnology companies. This will give students a chance to see the different career prospects available to them,” Prof Chow shared. 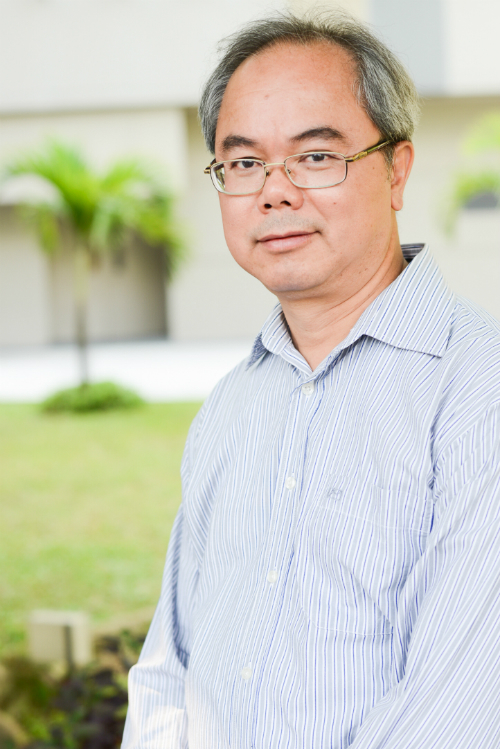 The medical bioscience field is relatively new, having evolved from the traditional biochemistry discipline that Prof Chow did in his first degree. “In my time, people were too focused on one discipline. It was later when they realised the needed for more well-rounded students, that courses like medical bioscience was created. Today, Medical Bioscience is probably one of the broadest area of modern science in universities around the world, blending various medically related disciplines together” he said. The Bachelor of Medical Bioscience is the flagship course in the School of Science at Monash University Malaysia and will continue to remain so. “We cannot be complacent, we will continue to move with times, update, and change according to the expectations of industry as well as what parents and students are looking for,” Prof Chow said. For more information about the Bachelor of Medical Bioscience at the School of Science, Monash University Malaysia, please visit www.monash.edu.my/science.